J. King Real Estate is proud to announce that we will be participating in the 6th Annual Chili Cook Off and Concert to Benefit the Juvenile Diabetes Research Foundation (JDRF), put on by Shelby Ray Shealy, her family and members of team Diva-Betic. The money raised from this event will go to advance awareness and fund research to cure, treat and prevent Type 1 Diabetes. This is a great event and we want to help Shelby Raye Shealy and JDRF get the word out. This event will take place at Schooner’s Bar & Grill of Irmo on March 24th, 2019, beginning at 12:00 noon. The event will feature silent auctions, raffles, a chili cook-off with tasting, free children’s activities and entertainment from talented local musicians. According to JDRG, 1.25 million Americans are currently living with Type 1, and 5 million are expected to be diagnosed by 2050 – including 600,000 children. We need your support to put an end to this life-threatening disease! Contributions of products and services for the silent auctions and raffles, along with monetary donations on Shelby Raye's behalf are needed and greatly appreciated. 100% of the proceeds will benefit JDRF and all donations made are tax deductible in the amount of the value of the product/service donated. To register to compete in the event is only $50, so come compete with us and make your best Chili! 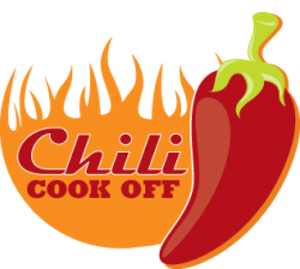 For more information on how to sign up as a Chili Cook-off Team, or on how to donate silent auction/raffle give away items, or monetary donations, contact Cheyenne Shuler @ 803-479-0054 or Shelby Shealy @ 803-239-3276. Stay tuned for more information on this great event. As it becomes available, we will keep you updated. We are looking forward to seeing everyone out there on Sunday, March 24th for this great event! Check out Shelby Raye Shealy’s music here.